Is it Legal to Sell an Expired U.S. Passport? You have renewed your passport, and your old passport has been returned to you after being clearly marked as expired. What do you do with this expired document? Many people keep their voided passports as souvenirs of their travels, but some individuals are interested in selling them. What is the legality of selling an expired U.S. passport? First and foremost, the legal prohibitions on selling expired passports are not entirely clear. However, when considering whether or not to sell your expired U.S. passport, keep in mind that such documents can be used for potentially illicit purposes. 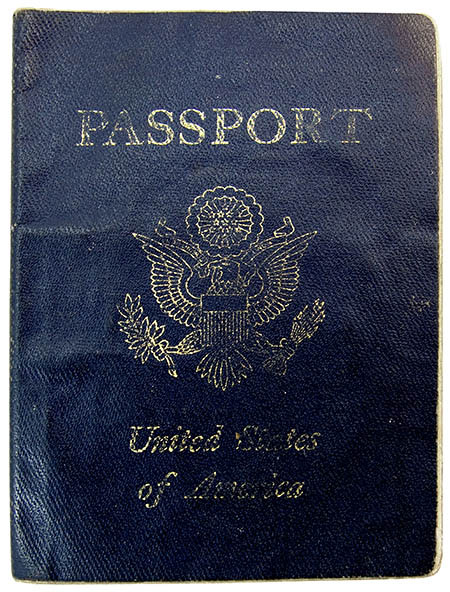 Even an expired passport can be used to prove U.S. citizenship in many instances; similarly, while expired passports cannot be used to travel internationally, they are generally accepted as proof of identity on domestic flights. Both of these reasons make selling a recently-expired U.S. passport potentially concerning to the government. Since U.S. law asserts that passports remain the property of the United States at all times and that the government can demand their return, consider that the government may exercise their rights if you attempt to sell a recently expired passport. Furthermore, while not strictly a question of legality, the fact that expired U.S. passports remain important for proving identity means that they can be used for identity theft purposes. Generally speaking, if your passport is less than five years beyond the expiry date, you should consider it off-limits for sale. However, long-expired passports do not face the same issues. “Obsolete” passports–often defined as those more than 20 years out of date–are often sold, and the antique passport collecting community is robust. However, if in doubt, err on the side of caution. Rather than selling it, keep your old expired U.S. passport as a wonderful record of past travels.